Porsche launched their new Porsche Cayenne E-Hybrid recently and now the company has released a new video of their latest hybrid SUV in action. The new Cayenne E-Hybrid is powered by an electric engine that produces 136 horsepower and a 3.0 litre V6 engine that produces 340 horsepower. The SUV comes with 462 horsepower and it has a top speed of 157 miles per hour, plus a 0 to 62 miles per hour time of 5 seconds. 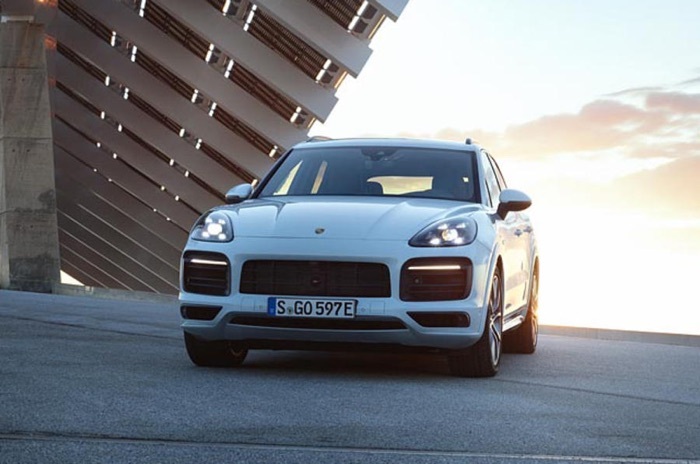 The new Cayenne E-Hybrid is a true pacesetter in terms of performance and the future. One of the first plug-in hybrids in its segment. And one of the most powerful. 340kW (462hp) and a top speed of 253km/h will have up to five sports car enthusiasts pinned firmly into their seat. With a fuel consumption of just 3.4–3.2l/100km and an all-electric range of up to 23–44km. You can find out more information about the new Porsche Cayenne E-Hybrid over at Porsche at the link below. Prices for this new Hybrid SUV start at £67,128 in the UK.